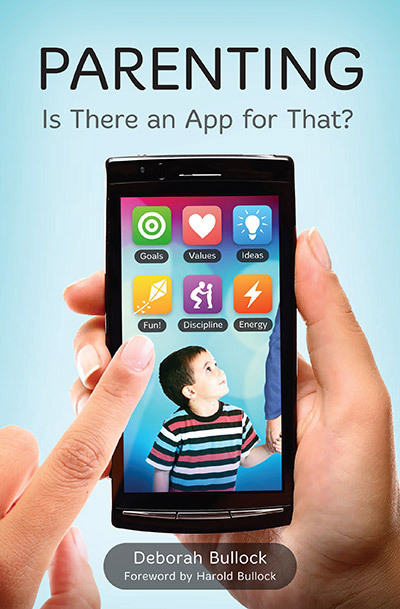 Parenting: Is There an App for That? Order your copy today from our Amazon Bookstore. 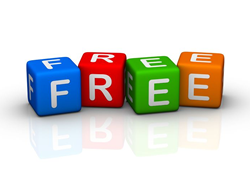 Discount pricing available on bulk orders larger than 50 books. To place an order or for more information, contact Matt Sturdevent at 817-945-3065x701 or via email. In the midst of a busy day, what is most important to accomplish with your kids? What can you do now that will ultimately help them grow into mature, well-adjusted and happy adults? 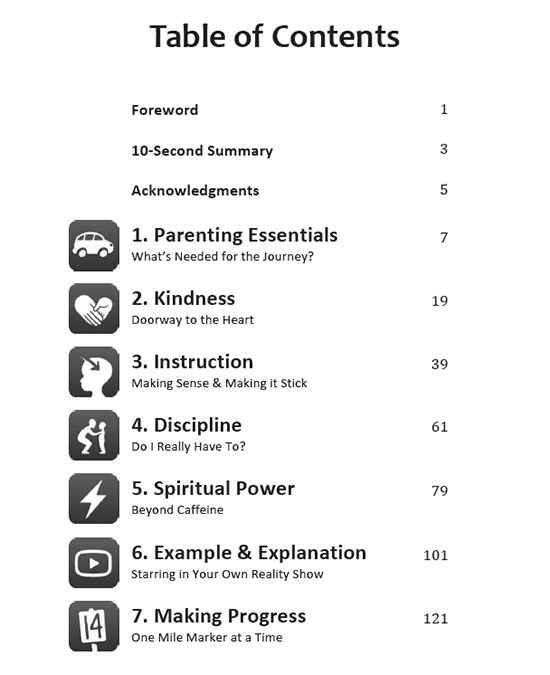 This book quickly gives moms and dads with limited time the five parenting essentials they need to know and packages them in one easy-to-remember picture. Many ideas and personal examples show how to use these essentials during normal, daily activities in a way that adds warmth and fun to family life. Drawn from the broad scope of biblical wisdom on raising children, these principles give readers a “handle” on parenting—a way to proceed one step at a time. It offers help that is needed to navigate the difficult journey of parenting with confidence and hope. 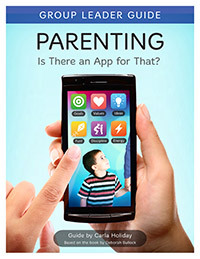 What Moms Are Saying About Parenting: Is There an App for That? As a mom of two-year-old triplets, this book gave me lots of practical help that I really needed. Earlier I had thought some people were “good with kids” and some were not, and I was in the latter category. When I encountered the concept of entering our children’s world to show kindness to them, it made sense to me. The specific examples in the book gave me a picture of what I could do. It’s amazing to see how quickly my kids warm up to me when I enter their world and see things from their perspective. I feel sad when I think of how I could have missed such a big opportunity to win their hearts. I absolutely love this book! I have a 15-month-old daughter, and Deborah’s wisdom is so helpful as I am beginning the journey of motherhood. Her relatable tone and clear message have encouraged me and given me vision for the kind of mom that I want to be. I am excited to share this book with friends and think it would be a great book for a moms’ discussion group. The wisdom in this book helps moms and dads learn to navigate the difficult journey of parenting with confidence, focus and a deeper awareness of God’s love for them and their children. 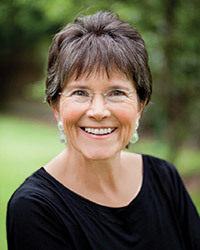 Deborah’s personal stories illustrate what biblical principles can look like in everyday life. She has a gift for communicating biblical insight in a creative way that is real, easy to remember and practical. I am so thankful for this helpful resource. The ideas and concepts in this book have brought a whole new level of fun to our family. After almost ten years of learning and applying the principles as Deborah shared them with me, I have seen our family become closer and happier, and our sons (ages seven and ten) really enjoy the time we spend together. And, the advice works! I have seen it proven in the lives of my own sons and also in the lives of the author’s grown children. I am so glad this information is now available in book form. I have been on the hunt for a book that offers a long-range vision and game plan for what’s really essential for a parent to accomplish with their kids—not just to solve current behavior problems but to help their kids grow into mature adults who experience true happiness and are a help to others. This book fits the bill! DEBORAH BULLOCK and her husband, Harold—the founding and senior pastor of Hope Church in Fort Worth, Texas—have been married 43 years and have three grown children and three grandchildren. She has a B.A. from UCLA and a M.Div. degree in theology from SWBTS. 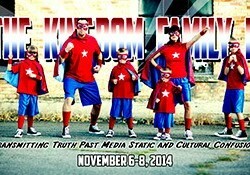 She is a former feature writer, kids’ ministry director and stay-at-home mom. Deborah has spoken at conferences and women’s meetings and recently created the innovative NRG Curriculum for kids.